Popular Electronics printed in April 1966 its first notice of new frequency units to be used beginning with the June edition. The May issue included this piece titled, "Comes the Revolution - or - '40 Million Frenchmen Can't Be Wrong'." Predictably, not everyone liked it. With the June issue came the promised change and along with it the first in a series of reader responses. I also found a reader's opinion from the August issue as well. Evidently, not everyone wanted to honor Heinrich Hertz by naming the base unit of frequency in his honor. In any case, you can thank or blame the French for the metric system. It was during their revolution that they devised this simple system which uses only three basic units: grams, liters, and meters. Yes, it really is simple, if you compare it to the more than 75 different units used in the U.S.A.: inches, feet, yards, rods, miles, pints, quarts, gallons, bushels, tons, etc. Counting money is easy because we use decimals to point out pennies, dimes, and dollars, and so it is in the metric system with its milli's, deci's, kilo's, mega's, etc. Except for a few major countries, such as Australia, Canada, South Africa, and the U.S.A., most of the world uses the metric system. Our annual dollar losses on foreign trade run into the billions because we are not on the metric system. Costs of engineering time spent in converting English to metric and metric to English run as high as $500 million a year. 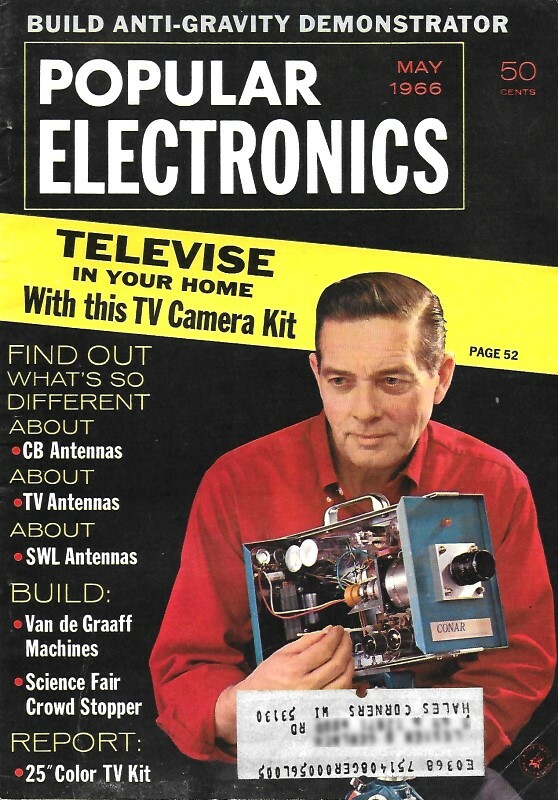 It may take a generation before the big change is made, but in the meantime, Popular Electronics is swinging over from cycles to hertz in the June issue (see "Old World Standards Breaking Through," April, 1966, page 28) in keeping with the rest of the electronics industry.